We’ve been in a month-long cold snap that doesn’t look like it’s letting up anytime soon. It’s been quite a year so far hasn’t it ? It’s been very unsettling and troublesome for me. I am writing to you on a compromised Internet connection. My landlord has moved in various people who come and go, people she finds via internet and a work-for-rent-and-food deal. She’s put a trailer in my parking area for a couple with a van. So I can’t have guest parking and my firewood delivery can no longer turn around here. She told me it happened after it happened. No consideration of how I might feel or have needs regarding my parking area. Then, in the same phone call, she says she wants to do an ‘inspection’ of my apartment ! So there are now six people sharing one internet connection as she gives out the password to everyone that comes through to stay here and labor for a place to sleep without water, toilet, heat. It’s akin to the depression era when people would slave away for a place to build a sub-par shack just to survive the elements in. So, naturally, with six people using the internet connection that’s limited to 150GB/month, they’ve run it past our limit and we are now in super-slo speed until the beginning of March. Funny thing is I’m paying half of the internet bill. OK not funny but when I brought it up, it I was ignored. Besides all this, my pain has been worse for about 2 weeks, much worse, and my mental state isnt good either. I’ve been keeping warm though. 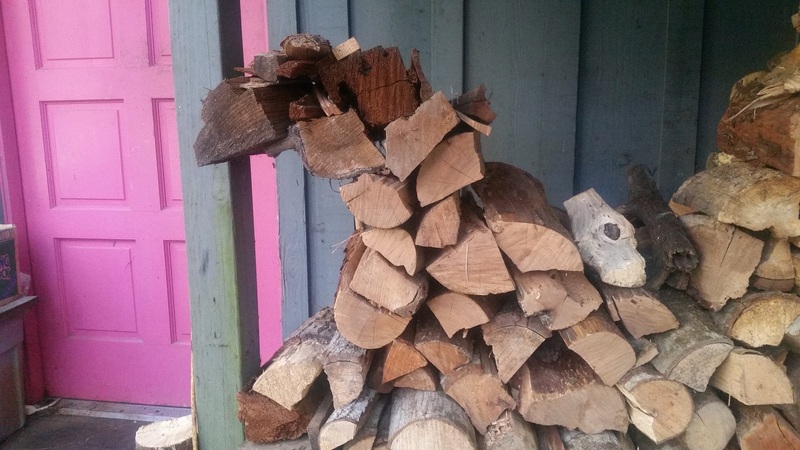 I got plenty of firewood in the fall, somehow knowing to prepare for a cold winter. My family has avoided coming here this winter due to the cold and work they have in the city. Some days are a real struggle – to even get dressed and get to the car. Other days I’m able to walk, which i desperately need to do. Walking seems to be the only cure for the edema that has returned in my leg/foot. My friend wants to come up and then take me to the city (Oakland). I’m not sure I can handle it. I haven’t traveled since my dose was cut down to the small size it is today. It’s been 2.5 years. Most of my friends live down South and I haven’t been able to see them. So I’m wondering if I can even tolerate the trip and everything involved with it – it’s going to be very painful and difficult for me, I know it will be. On the other hand, it may nourish me mentally and spiritually to see old friends and visit places I haven’t been to in a couple of years. My doctor is on a 4 month ‘leave’, and I’m hoping she makes ir back, otherwise I’m stranded medically. Like many people in my position, I’m one doctor away from losing care, and one landlord away from being homeless. Such is life for many of the poor in the United States. I am fortunate though that I have what I have, and I have folks like you reading this blog ! I’ll add more soon – stay tuned !